Written by BioForce Admin on Jan. 16, 2014 in Software updates. Last update on Jan. 16, 2014. 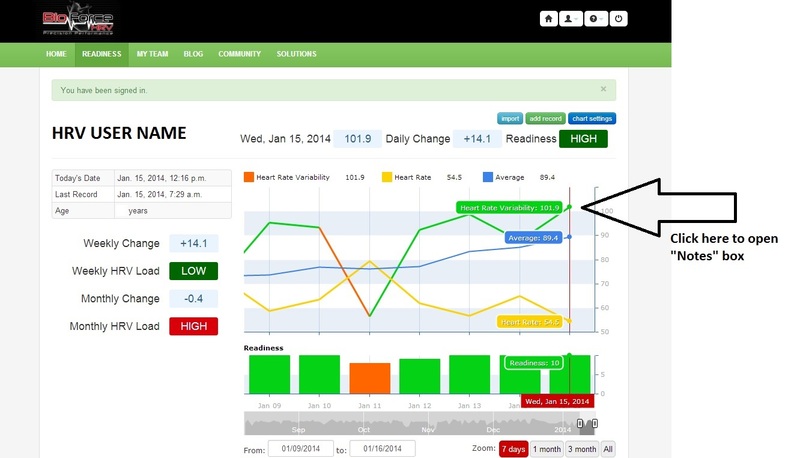 We have received a lot of questions and requests on incorporating sleep tracking with the BioForce HRV system. We now have added a new feature to help track your sleep quality and duration. 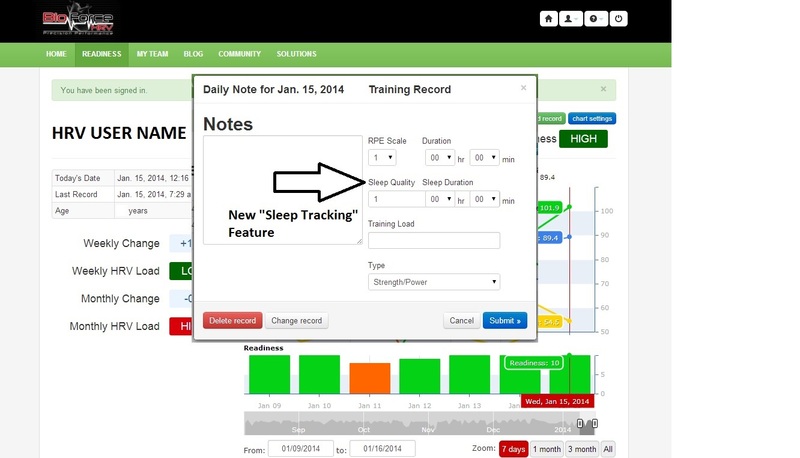 To log your sleep quality and duration, click on a data point on the graph within the web app to open the "Training Record - Notes" box. You can find the sleep tracking feature on the right side below RPE Scale and Duration. Enjoy tracking your sleep quality on a scale of 1 to 10, as well as logging how long you slept.